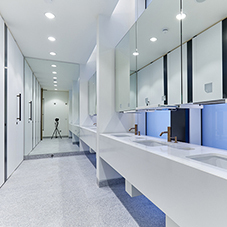 Maxwood Washrooms vanity units compliment the company's other washroom systems. 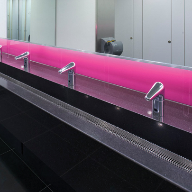 Designed in a range of styles and materials including high pressure laminate, solid grade laminate, corian, granite, marble and glass. The units can also be manufactured as vanity suites. Underside storage cupboard capacity is also available. 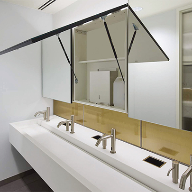 Their tops befit any commercial, educational, health, leisure or institutional environment.